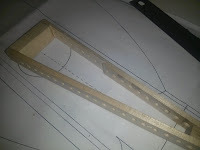 I've now tied the frets and glued on the small frets on the body. 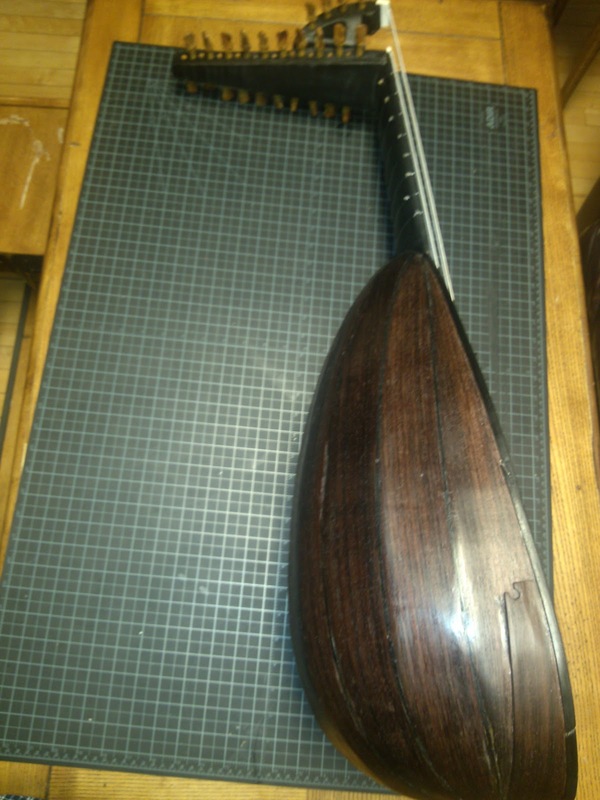 Here are some pics of the finished lute. 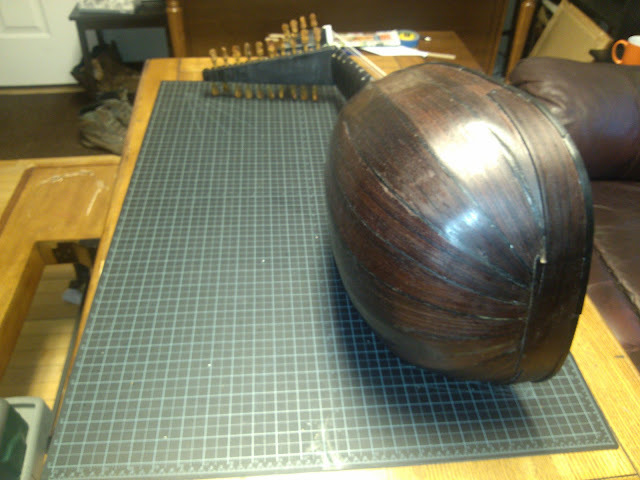 Now that I have a playable instrument (whew!) 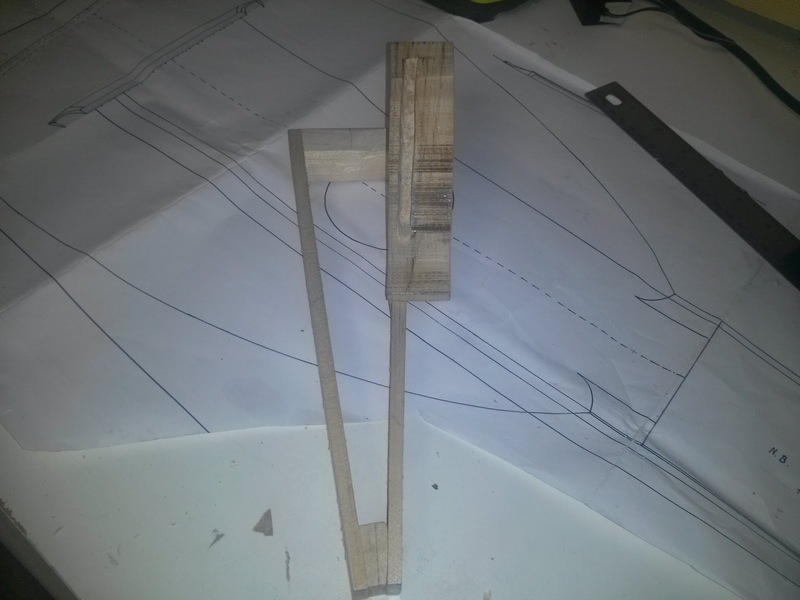 I can spend more time focusing on details and making a nice instrument with the foresight I've gained from this project. I have already selected the woods for the shell of the next lute. 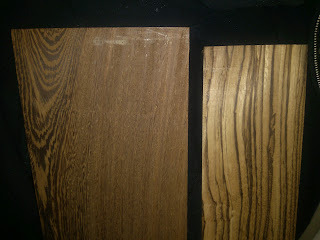 It will not have spacers between the ribs but will have alternating zebra wood and wenge (pictured below). 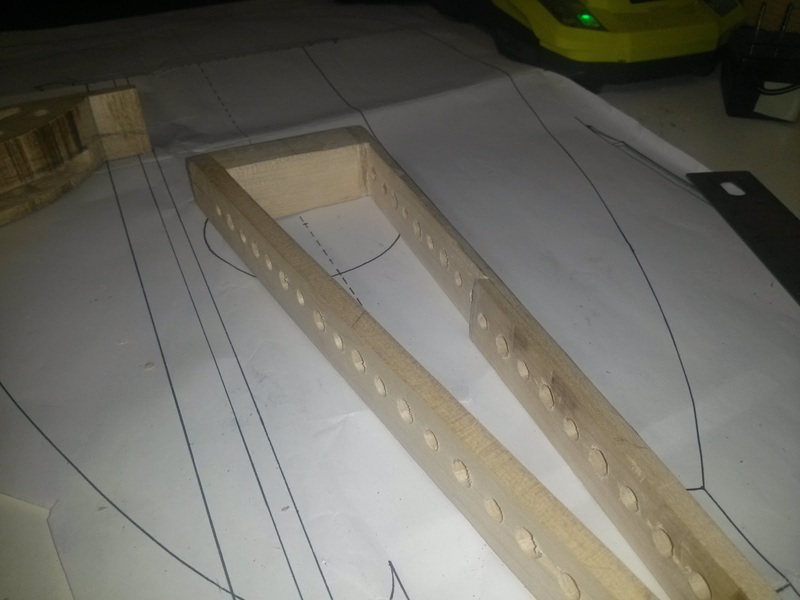 I also plan on using the extended pegbox design instead of a bass rider for this instrument. 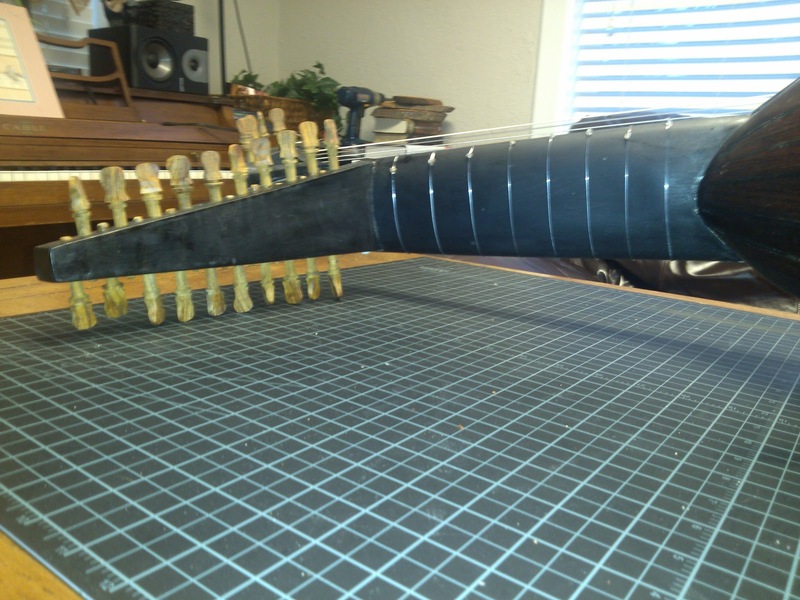 I will keep a much more detailed blog on the progress of that instrument. Need to clip the excess off these strings. The fingerboard has been glued on. It is made from a hard rock maple and dyed ebony black. It looks quite good with the dye and I'm now working on trimming and shaping the bone nut. Gluing on the soundboard and trimming. So now the soundboard has been glued on the shell. This proved to be a bit more difficult than I had expected, mainly because the soundboard is cut out a bit oversize and trimmed after gluing. I guess I made my overhang a bit too much as the stress from the tapes holding it in place caused it to crack in two places. I believe it is still structurally sound as the cracks are right near the edges and I applied enough glue to fill in and re-glue those cracks. Overall I learned a lot from this step and am OK with how it is turning out. 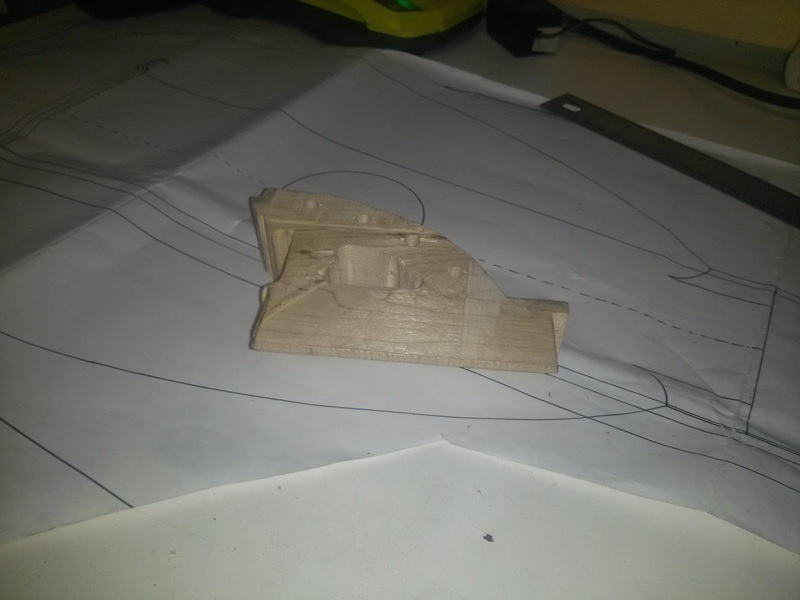 Here it is cut ready for the fingerboard and fingerboard points but not yet trimmed. 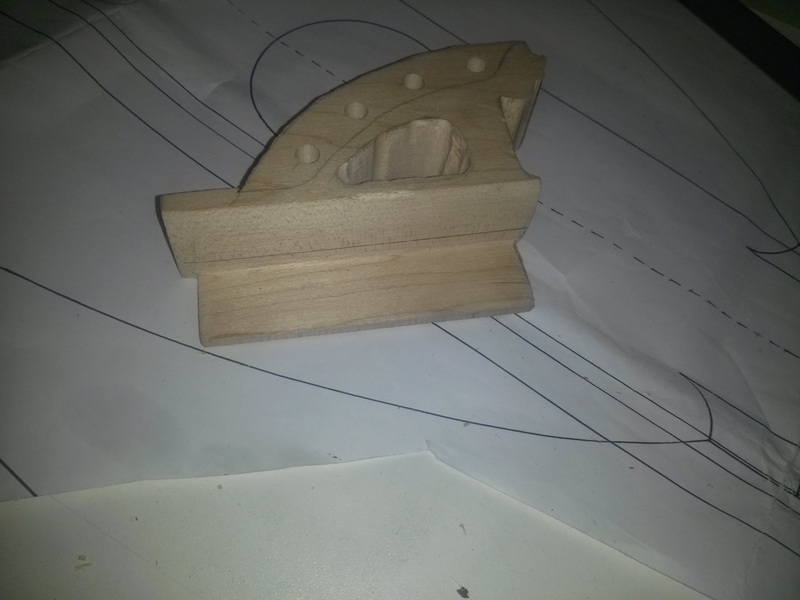 Here is a closeup with soundboard trimmed. You can also just see one of the cracks at the lower left. The whole soundboard with trim. 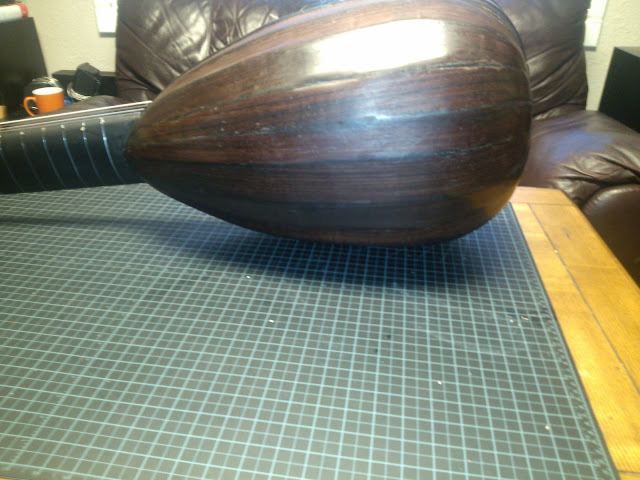 It is starting to look like a real instrument! I'm not far from needing strings! 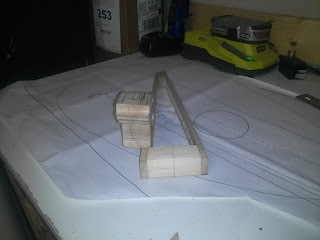 So I've fashioned the pegbox and rider out of the same hard maple used for the neck carving. 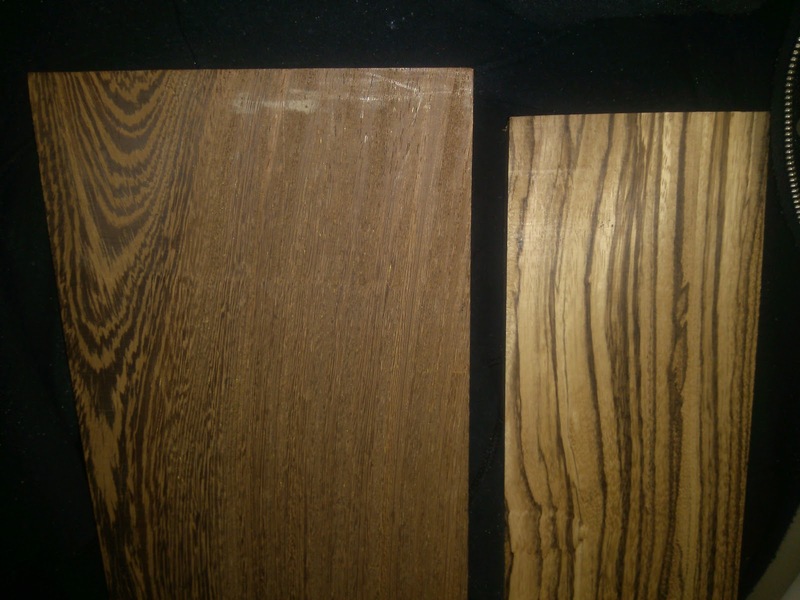 While this is nice wood, I plan to dye it black with an oil based ebony stain as it should look really good with the rosewood. 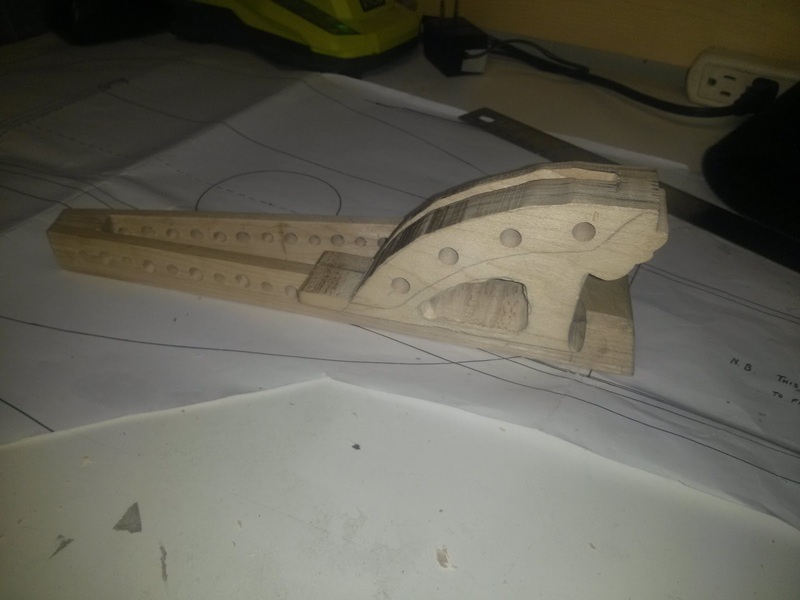 So I've moved on and created the neck and glued it onto the shell. I haven't retrieved the pictures from my camera yet but will post them shortly. Next up is the pegbox and rider. This soundboard is made from Englemann Spruce. I did not get as good of a seam when joining the two halves together as I would have liked as the glue gelled on me very quickly. I think it will hold fine it is just a bit unsightly. I didn't get any pictures of this step before cutting out the shape and the rosette. So I first cut out the rosette design. This is a tough task for me! First a razor thin/sharp flat ended blade had to be ground and sharpened and the design is cut by cutting straight down into the pattern that gets glued onto the front. It could be better but I'm pretty satisfied with it given my lack of wood working skills! Here is a bit of a closer shot. Sorry this one is kind of dark but it is close enough with shadows to show the 3d chiseling. I need to do some very fine sanding/detailing to smooth out some edges. I may try the Dremel on slow speed with a very fine ceramic drum for this. Now gluing on the bars a couple at a time. Then setting weights on them to get a good fit. All bars are in place and trimming has begun! A closeup of the rosette support. Closeup of the trimmed bars at the bottom end. Hi, I'm Tim. I'm happily married for nearly 30 years now. Have 5 kids 4 grand kids and am living in the beautiful Montana Rocky Mountains. I'm a Software Engineer by trade but long to be more involved musically as I was when I was younger. I love playing guitar (classical, progressive rock, introspective) lean towards instrumental virtuoso styles. Since being in Montana I've had an exploding desire to be outdoors fishing, hiking, hunting or whatever gets me out there. So many beautiful sights to see around here that can only be seen by hiking in to them! 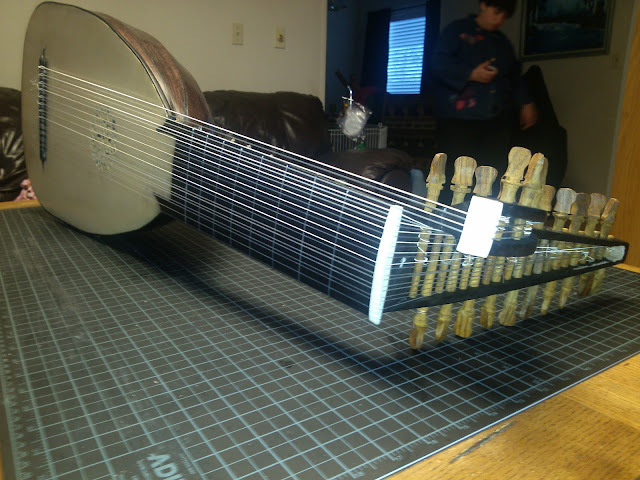 I also spend my spare time building stringed instruments. 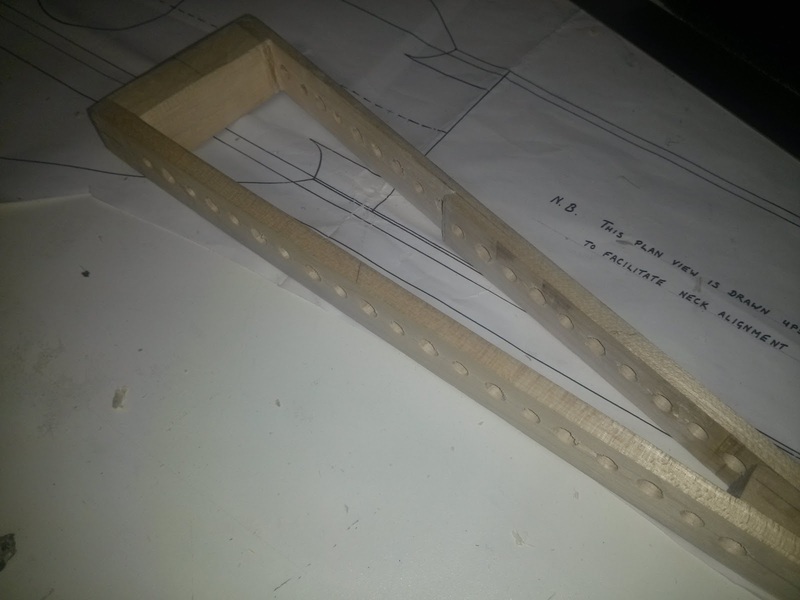 I have some blogs showing progress on instruments I have built, please visit them!